World Book Night started in 2011 in the UK and is now being celebrated in the United States. It is an event to encourage reading with the giving away of free paperback books. 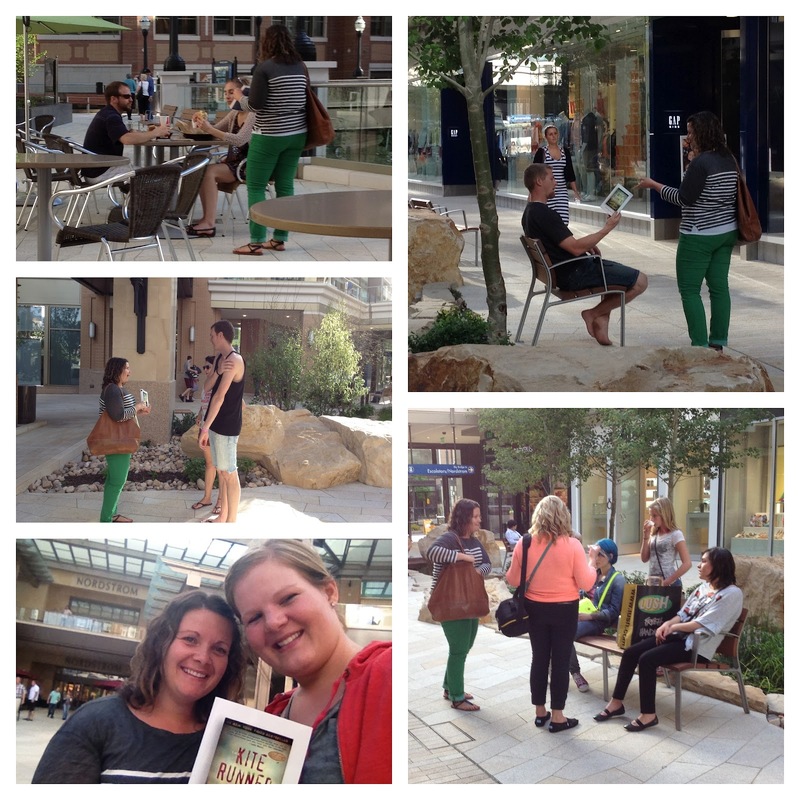 I applied to be a giver several months ago and had a great experience talking to people about Kite Runner. After reading several accounts of book giving, I was a little worried about being rejected but that did not happen. Maybe I simply chose wisely, but everyone I talked to was excited to receive a new book. One girl told me she has an unread copy of the book but is planning to start reading after our discussion. I also gave several copies of the book to local organizations that are in need of book donations. You're always so creative and have such fun ideas! P.S. LOVE your outfit.